Byron Patrick, managing director, CPA Practice at IT management solutions provider Network Alliance, is known to have said his favorite superhero is Superman. However, as one of the youngest past chairs of the MACPA and current member of AICPA Council, he already embodies one of the lessons imparted on Spiderman’s alter ego, Peter Parker: With great power comes great responsibility. Having seen the exponential rise in use of new technologies – and the power that comes with that – as a nationally-recognized I.T. expert specializing in use of the technology by CPAs, Patrick is a strong advocate for the value of the cloud to CPAs in audit, tax, business and industry, and an equally strong proponent for the need to set up responsible cloud security. The expansion and accessibility of high speed internet for a large majority of people has made advanced IT applications and products accessible to a much broader segment of the community, for both business and personal use, observes Patrick. Another important change is the availability of tools to integrate various applications via API’s and other integration tools. “For many years, each cloud app was its own silo; this is quickly changing,” says Patrick. The initial move to the cloud can sometimes appear expensive, but projecting the costs over time may show that the cost of higher-end hardware, plus the cost of backups and managing that process, mean that a sole proprietor would actually save money in the long run, and have better tools to get their job down, by switching to the cloud, says Patrick. 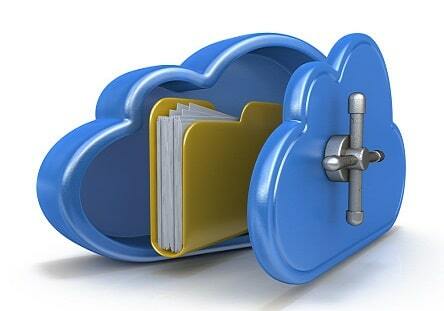 Once convinced of the benefits of moving to the cloud, what about the risks? “Many of the risks associated with the office network are comparable to the cloud; however, there are additional concerns to keep in mind,” says Patrick. Learn more from Patrick, one of the featured speakers at the MACPA’s Annual Practitioners Conference on Nov. 2, 2017 at Martin’s West near Baltimore, Md. The conference is open to all CPAs, but focused toward the small, sole or solo practitioner and his/her specific needs.